Cloches with Black Wood Base. H-22", Wholesale Pack of 2 Discounts Apply ! Cloches with Black Wood Base, the glass cloche domes are perfect for making museum showpieces out of your treasured items, while also shielding them from dust. 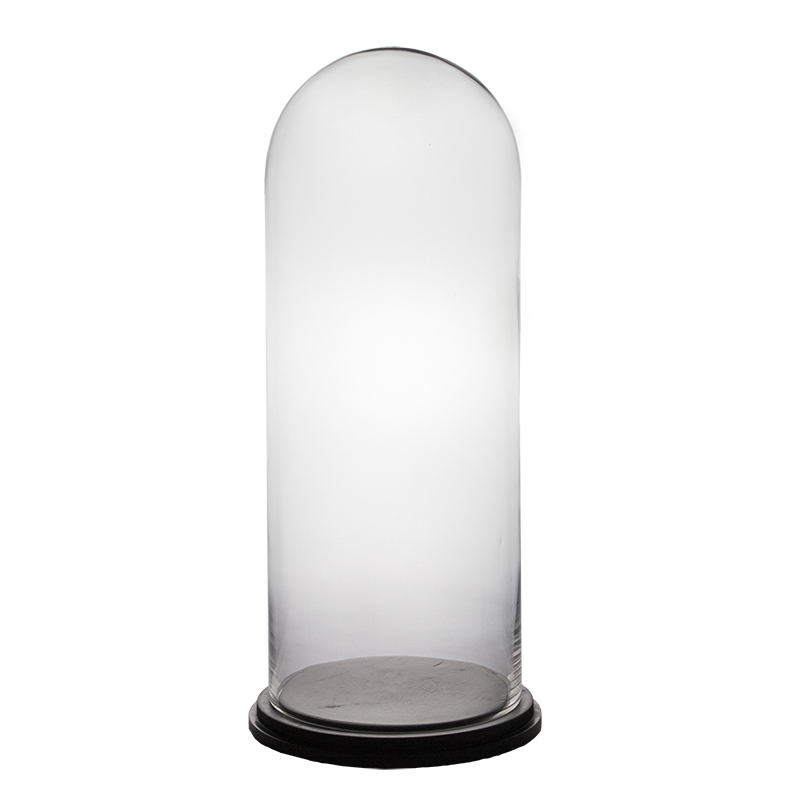 The cloche is perfect to highlight your arrangement, and also shelter it from outside elements. Use to create enchanting displays indoors or outdoors. Black wood base is included. Dimension: H-22", Body D-8.5", Wood Base D-10".